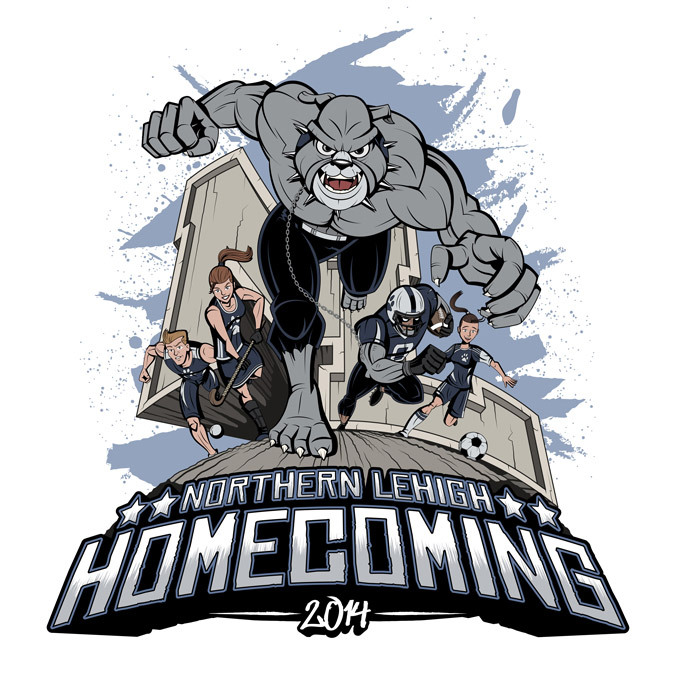 To celebrate the 2014 Homecoming festivities at Northern Lehigh High School in Slatington, PA, Kernie Cam Productions created this illustration for the Student Council t-shirt sale. This year's Homecoming activities include a pep rally, parade, a coronation of king and queen, a semi-formal dance, and a Friday-night football game between the Northern Lehigh Bulldogs and the Salisbury Falcons. 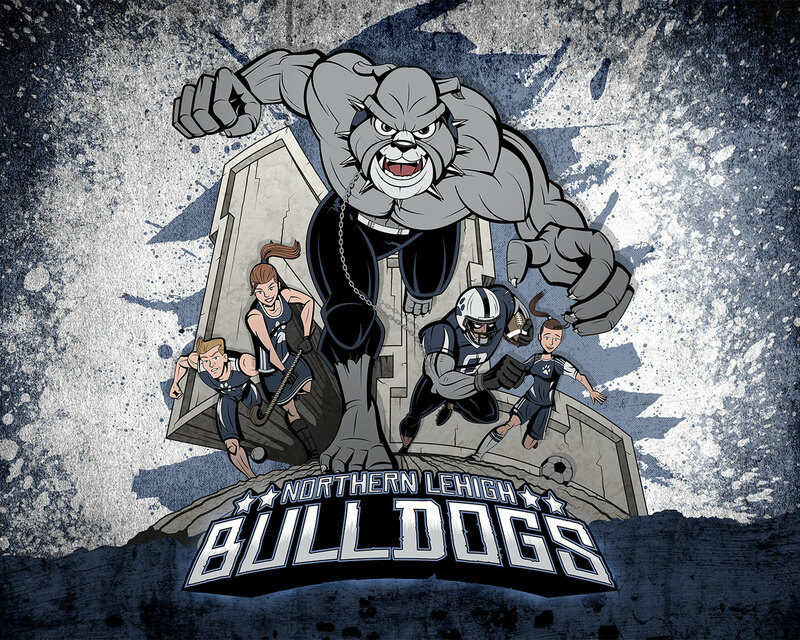 The design features Northern Lehigh's anthropomorphic bulldog mascot leading a charge of athletes who represent each of the Fall Sports teams: (from left) Cross Country, Field Hockey, Football, and Soccer. 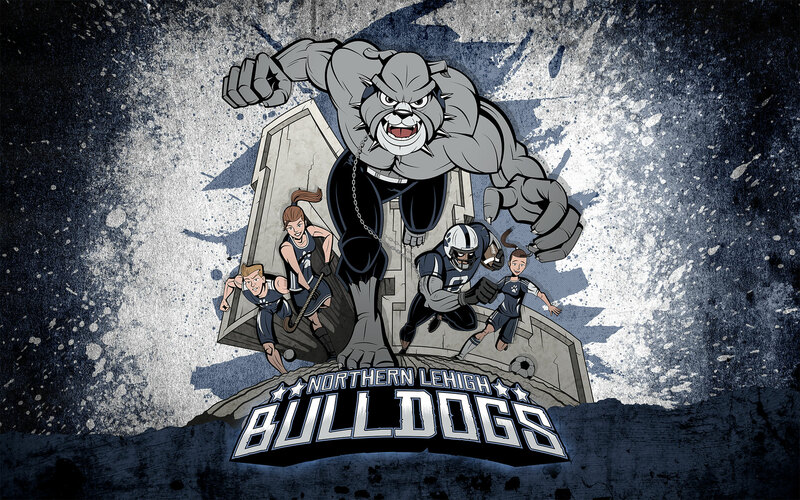 One-color, long and short-sleeve t-shirts were sold through the Northern Lehigh High School Student Council. 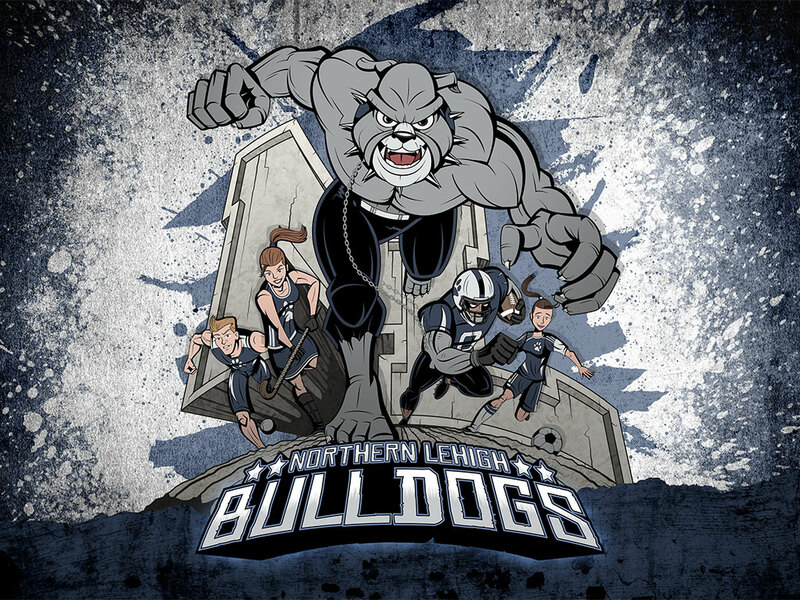 Kernie Cam also provided a color version of the illustration in the form of a desktop wallpaper that could be downloaded via the high school website.